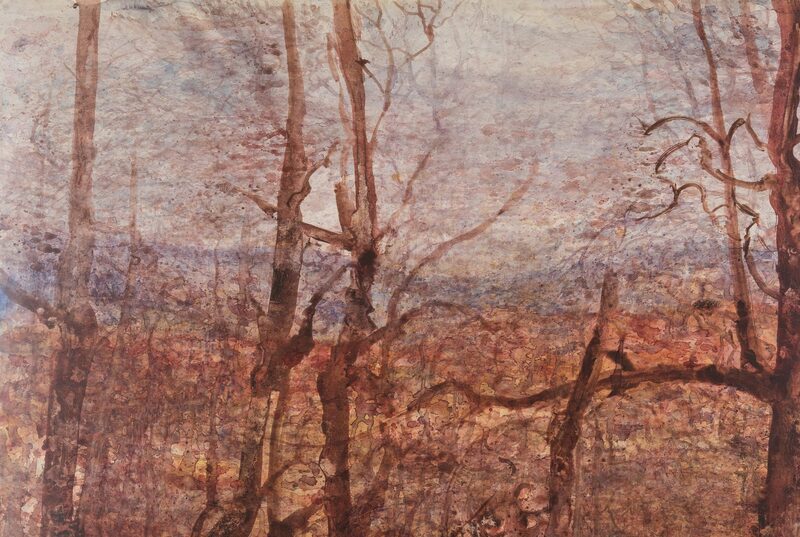 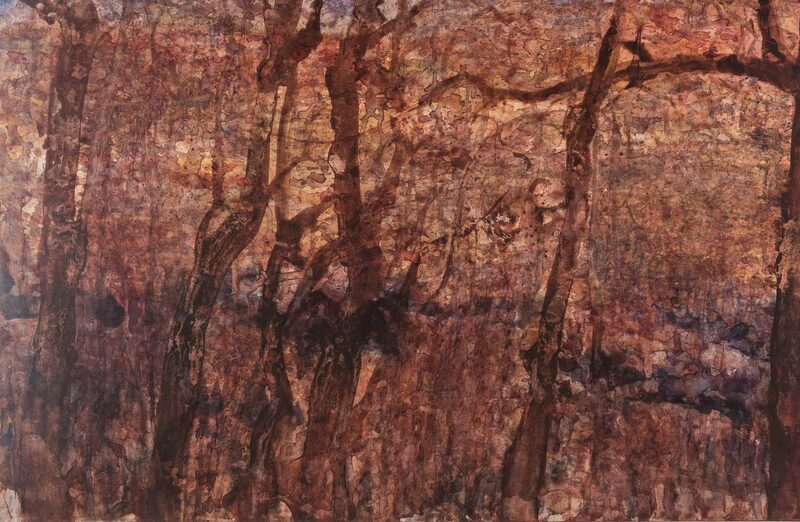 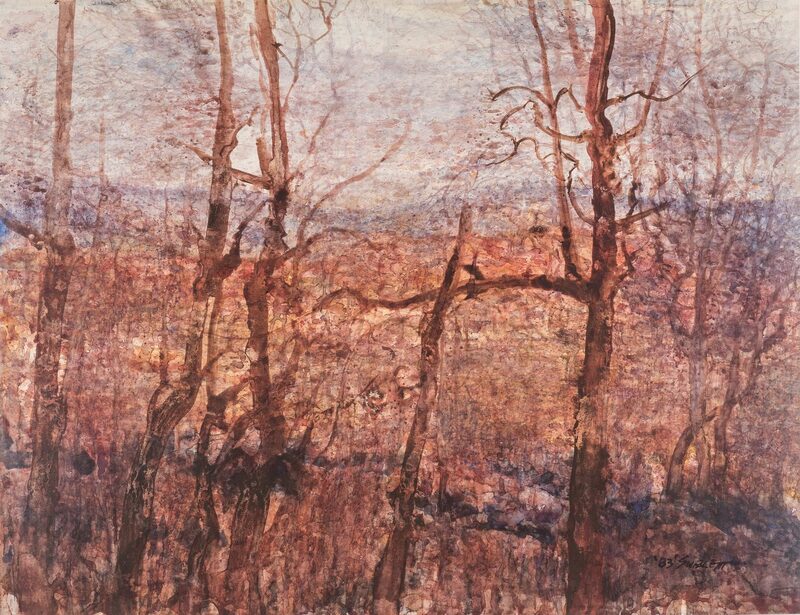 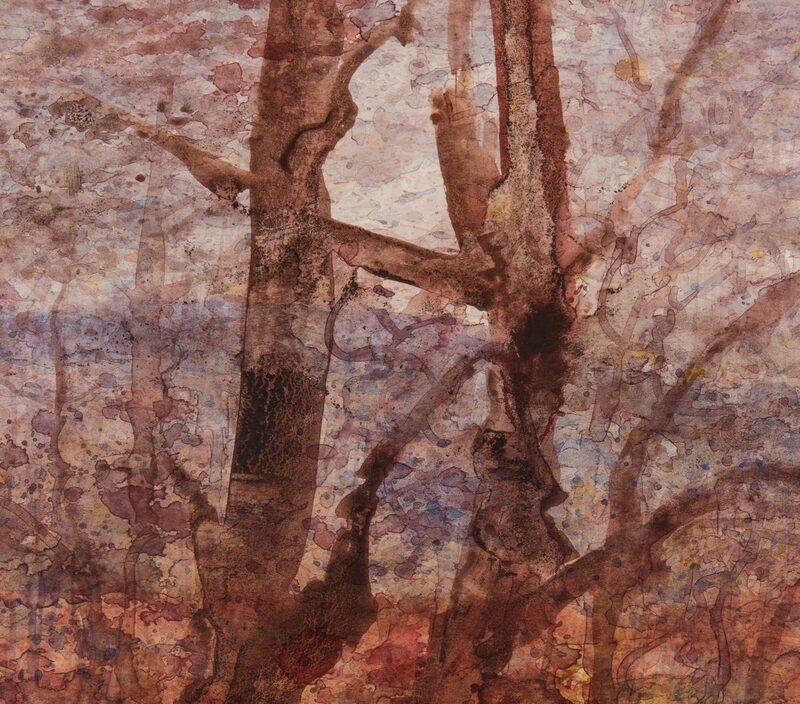 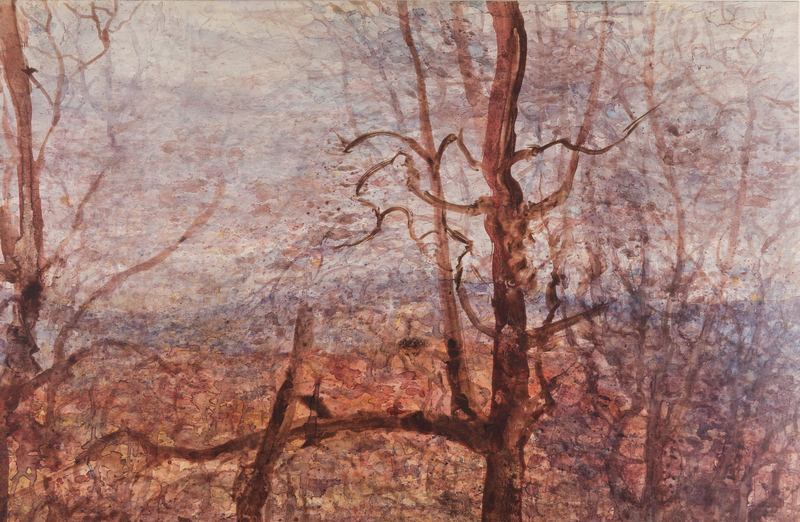 Carl Sublett (Tennessee, 1919-2008) abstract watercolor landscape on paper titled "Wild Lace" depicting a barren winter landscape rendered in muted colors. Signed and dated '83 lower right. 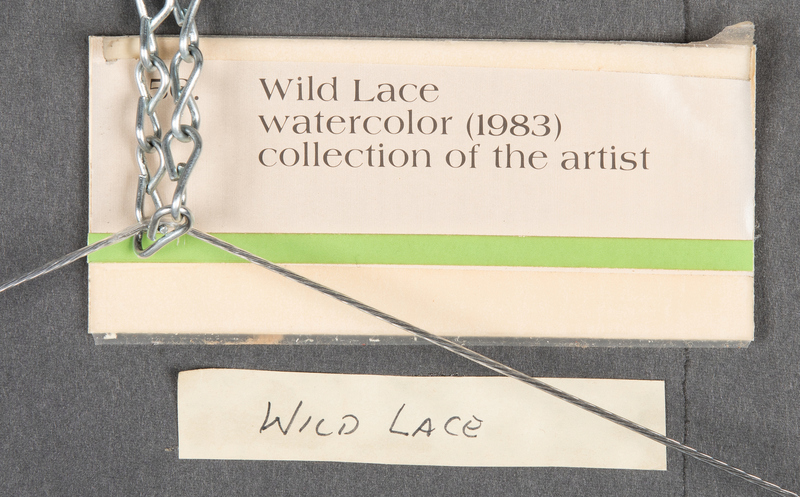 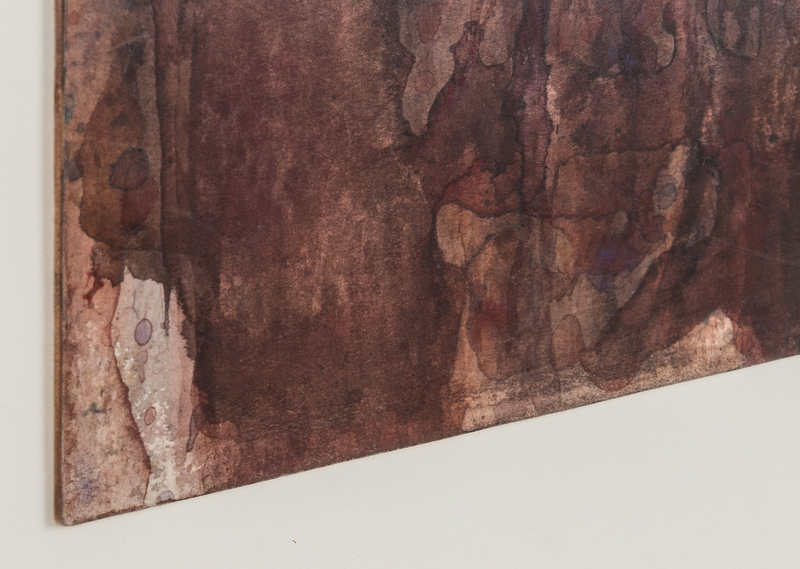 Exhibition label en verso reading "56/Wild Lace/Watercolor (83)/collection of the artist". 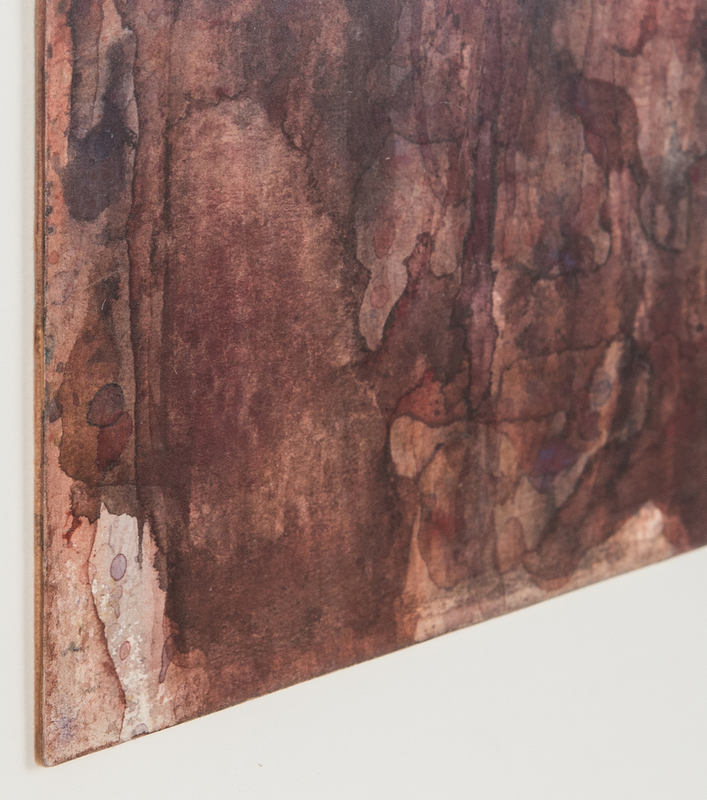 Paper float mounted and housed in a silvered wood frame. 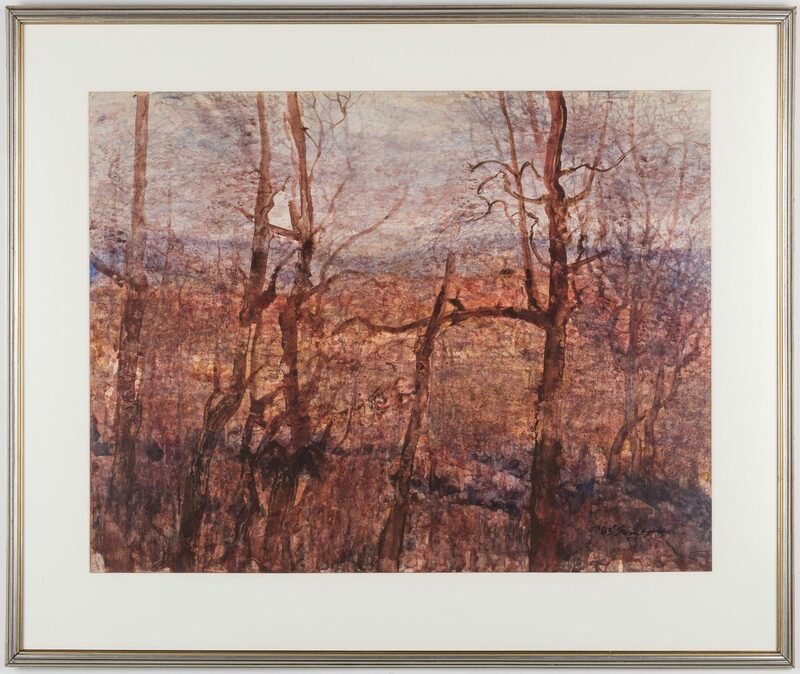 Image/Paper – 27 3/4" H x 35 3/4" W. Framed – 38 1/2" H x 46" W. Biography: Carl Sublett studied Art History at the American Academy in Florence, Italy after World War II, and became Professor of Fine Art at the University of Tennessee. 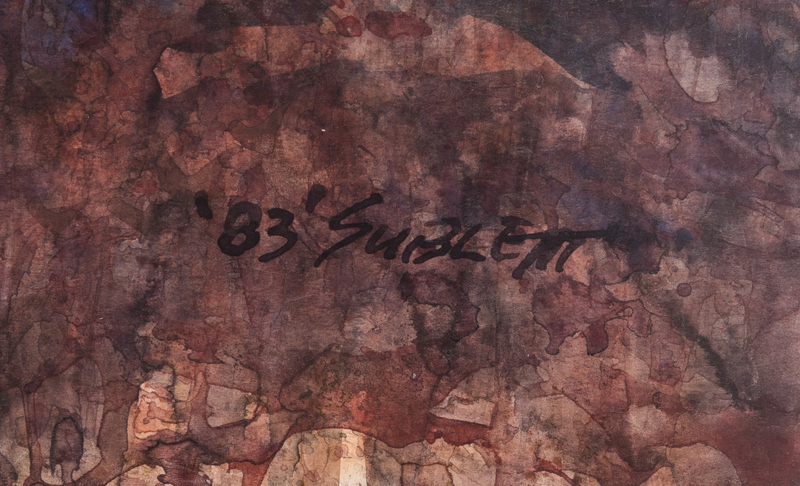 Sublett was a member of the National Academy of Design. 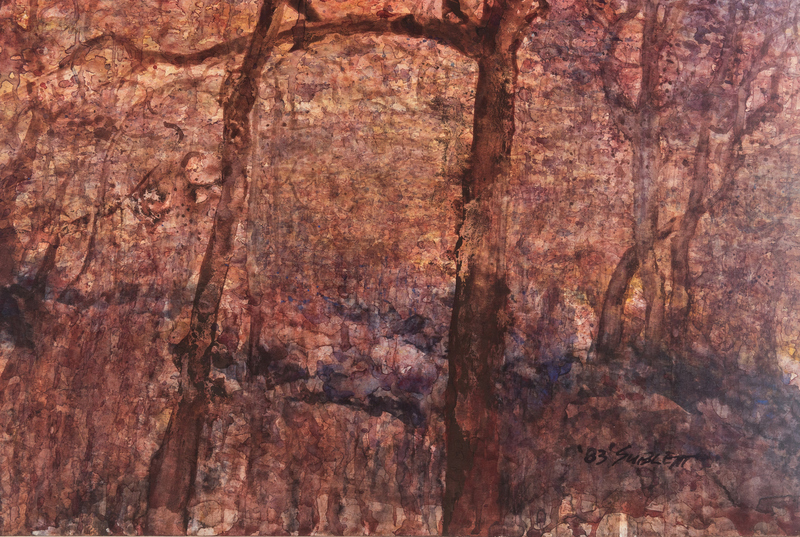 His works are in the collections of the National Academy of Design, The Tennessee State Museum, and Cheekwood Museum of Art, Nashville. 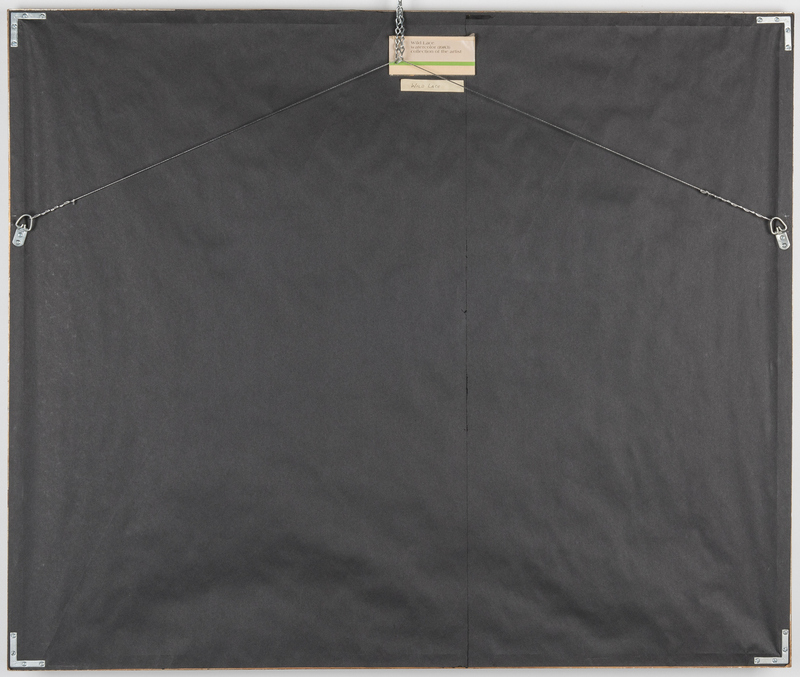 CONDITION: Overall very good condition, minor abrasions to frame.